Brendan Reeves is feeling well-prepared ahead of next weekend's Coromandel Rally. 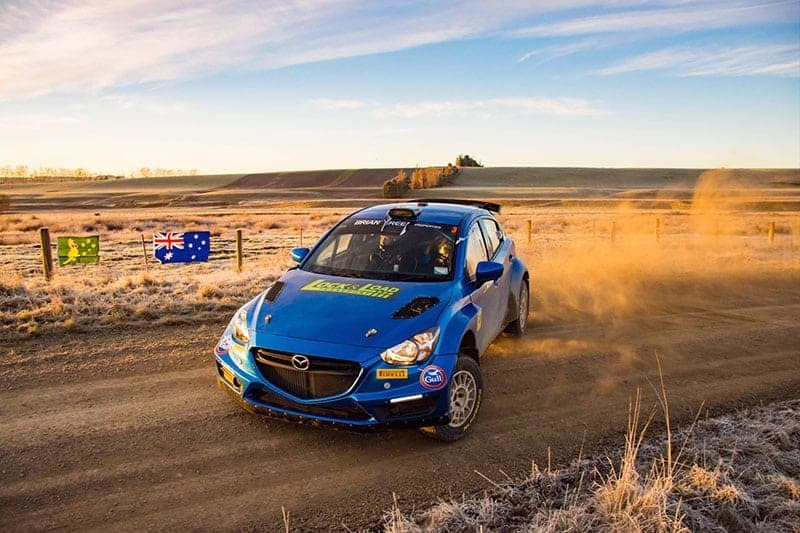 Brendan Reeves will be aiming for a hat trick of wins when he tackles the stages at New Zealand’s Rally of Coromandel next week. The event, round 5 of the New Zealand Rally Championship (NZRC), has attracted a quality field of 60 crews and Reeves is itching to return to the Coromandel Peninsula where he has enjoyed great success. Reeves will again drive the Force Motorsport Mazda2 AP4 that he drove to victory on its first outing at Coromandel last year, and will be co-driven by his sister, Rhianon Gelsomino. Some recent changes to the Mazda, with assistance from MCA Suspension, have given Reeves added confidence going into the event. With a pre-event test scheduled to fine tune the car’s set up and do a full systems check, Reeves is feeling well prepared. Despite winning Rally Coromandel the last two years, Reeves won’t be able to rely on his knowledge of the roads used previously. This year’s event will provide a new test with just 4 stages, some used twice and in a mix of directions, from the past two years. The rally takes on a one-day format on Saturday, 18 August, with reconnaissance to be held the day prior. Competitors will tackle just over 100 kilometres of competitive stages. Reeves and Gelsomino have been well supported in their quest to compete in the event, with many small businesses and individuals throwing their support behind the pair. A fundraising campaign involving three auctions and selling bonnet name stickers has raised enough funds to allow the duo to compete, and they are extremely grateful for that support. Whilst his eye is on the top spot on the podium, Reeves knows he’ll have strong competition from Hyundai World Rally Team driver, Hayden Paddon, and NZRC frontrunners Ben Hunt and Matt Summerfield. If all goes to plan and a strong result is forthcoming, Reeves would love to be back on New Zealand soil for the final round of the championship in October. The Hyundai Gold Rush Rally of Coromandel will be held on Saturday, 18 August from its base in Whitianga on New Zealand’s north island.